Travel the Natural History Museum in New York and it will focus the mind on the evolution of things. Begin on the fourth floor where dinosaurs live. Curators designed the permanent exhibit as walk through millennial time. 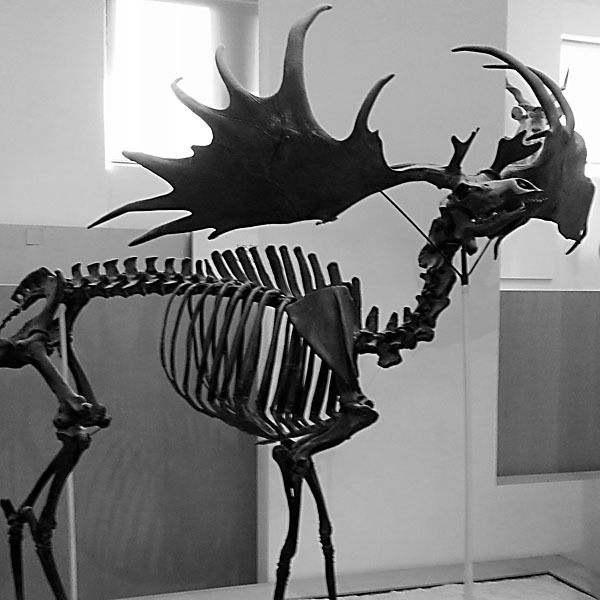 It shows the progress of species by the only evidence we have: the bones left behind. Scientists point our attention to the hole in the pelvis. This evolution provides a socket for the thigh bone and greater mobility on land. Or consider the shift of digits which formed the opposable thumb. What’s fascinating about this science is the degree to which our planet’s narrative unfolds by remnants left in the earth. Skeletal structure from creatures long gone tell the tale of adaptation. Changes to food sources. Cosmic events and tectonic plate shifts. 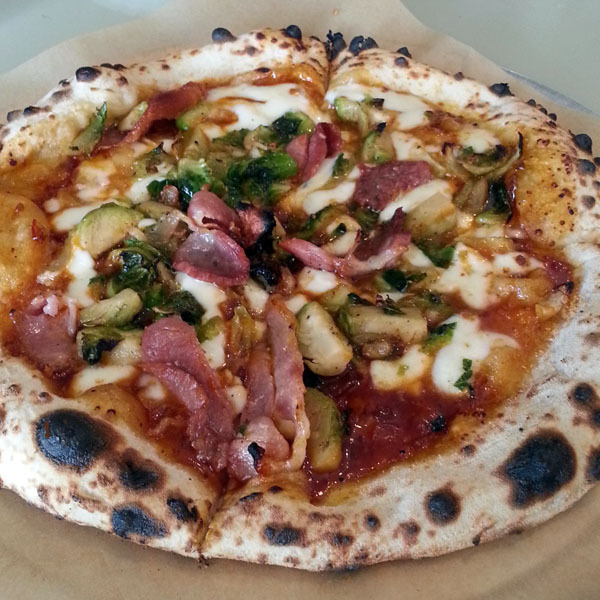 Fast forward to Pieous, a new pizza haven in Southwest Austin. So Southwest, we might call it the doorway to Dripping Springs. Here chef owner, Josh Kaner, has set up a return to authentic pizza. House-made mozzarella. Hot bubbly crust born from a sourdough starter that dates back 20 years. He and his wife left Los Angeles to work harder for less money. Their family found sanctity in the open air of Central Texas. They arrived to exercise their passion for high quality food and the spiritual transformation that comes from it. The metaphor for a pizza skeleton is easy to reach. In our home, the discarded crusts are called “bones.” The kids leave them in the pizza box like jackals on the Serengeti. Italians refer to this edge dough as “cornaccia” <cor-nat-cha>. Corner or frame, really. This part of the pie acts as the handle by which floppy triangle makes it’s way to the mouth. Or pie hole as we like to say. In the broader context, pizza is defined by the crust. True connoisseurs judge a pizza’s worth by its quality. Even the best toppings cannot save a pizza. Pizza begins and ends with the crust. New Yorkers teach us to lift a slice with one hand by carefully compressing the thick end into a “V” formation. This move stiffens the bottom of the leathery pizza so that is can ride through the air like the hull of a boat. Thank you opposable thumb for this move. In the world of Josh, the pizza is defined by the dough. He takes immense care on the preparation and presentation. He works out the proportion between the thick edge to the thin canvas center with the precision of the golden mean. Josh labors for the perfect rise of yeast. The perfect time in the fiery oven. The austerity of the fixings. 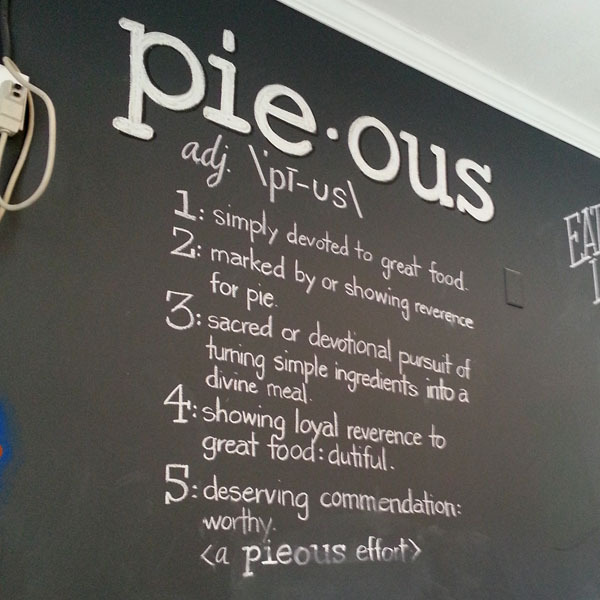 It is worth noting that Pieous is more than the restaurant’s name. It’s an outlook on life. A frame with which to see the world. All too often visitors race into hallowed halls of the museum to stare at the paintings. Their eyes dive into serene landscapes or take witness to scenes of bravery. They look past the massive gilded frames never noticing artistry beyond the pictures edge. Also they do not comprehend the craftsmanship of the wooden structure underneath which enabled the canvas to be stretched so huge in the first place. Josh sees the gold. Josh sees the lattice work. Every dish has a skeleton, a structure by which the canvas hangs. Sometimes it’s an endoskeleton (inside structure) and sometimes it’s an exoskeleton (outside structure). Think about the broth which makes the soup or the crunch of quality French bread in a Bahn Mi sandwich. These are examples of structure. So when you encounter than next masterpiece on a plate, or take up the mission to create one of your own, ask yourself these questions. What is the frame I will use today? What is the angle of approach? What will sew my narrative together? Do this and write to tell us all about it. We hunger to see the world as you do. The basic problem for Lawrence was that he was lazy. He figured out that everything was much simpler, if like Superman with X-ray vision, you just stared through the cosmic distractions and saw the underlying mathematical skeleton. Once you found the math in a thing, you knew everything about it and could manipulate it to your heart’s content with nothing more than a pencil and a napkin. So happy to have found your blog! Rarely do food posts really inspire me to think more philosophically or critically about what I eat or cook, but this one certainly did. Keep up the great work and I can’t wait to read more! Welcome to the adventure! Working from Maine this week. We might have to talk about fun things to do with lobstah or crab. Stay tuned.